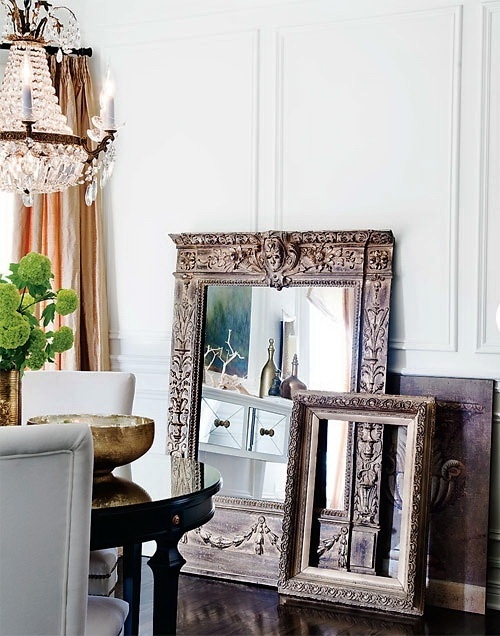 Mirror…Mirror…on the wall…you are an incredible accessory that will beautify any room. 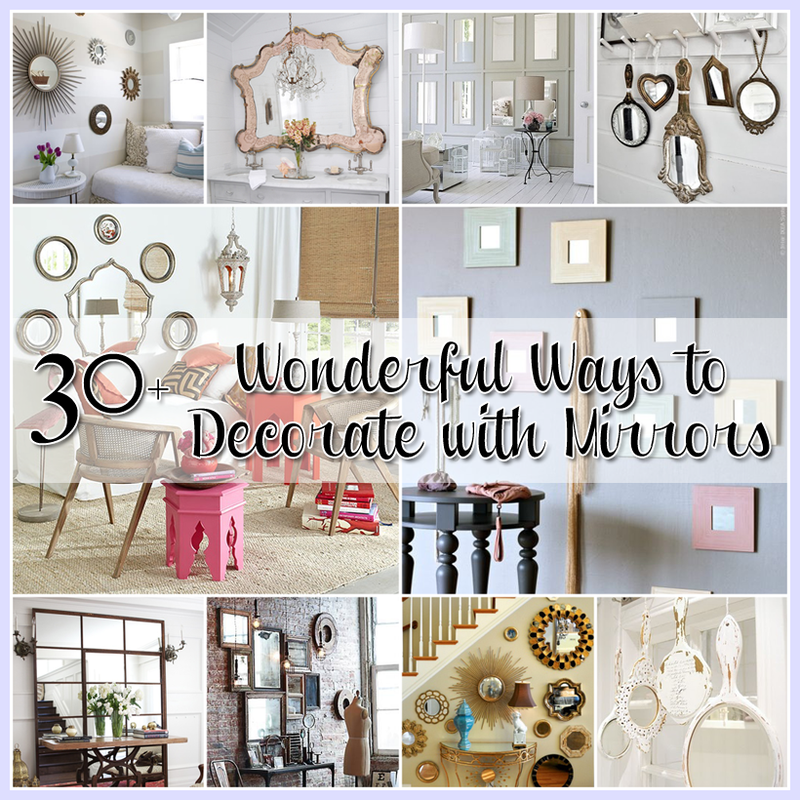 You can use 1 or 100 or any number in between…the results are just always amazing. 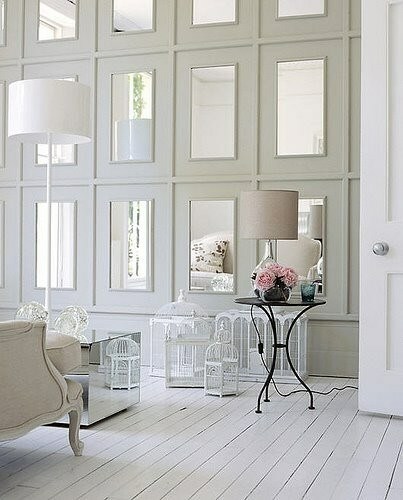 This is a grand example of what mirrors can do in a room…a real WOW factor wouldn’t you say? 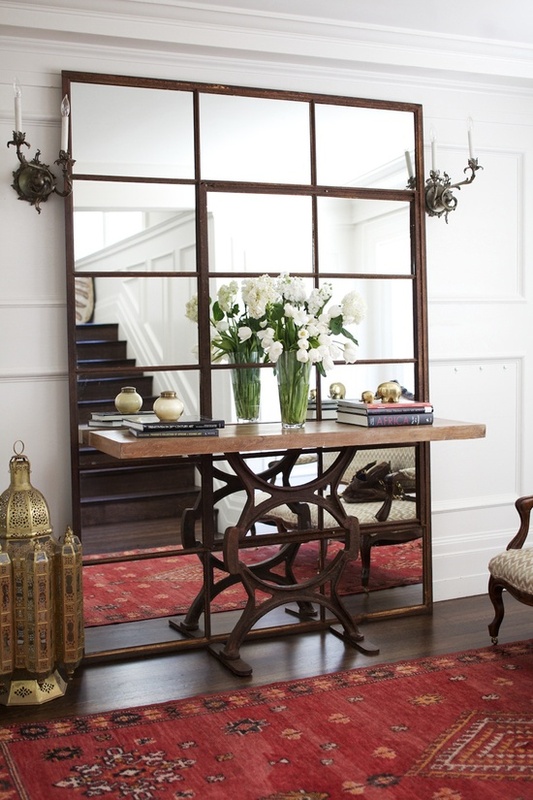 This large paneled mirror creates the illusion of spaciousness…it’s magic! 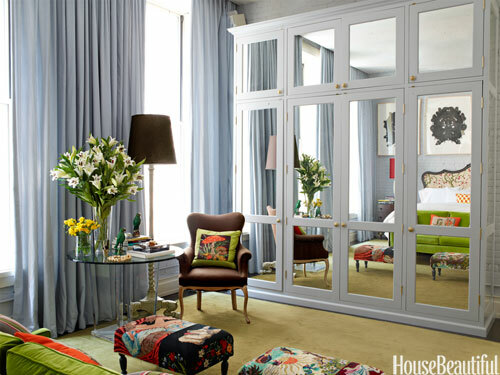 your room will smile at you each and every day. 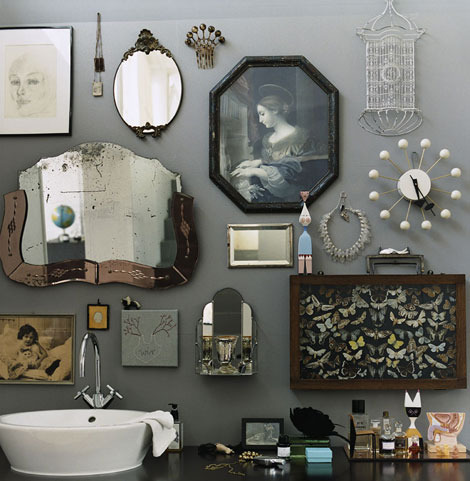 The collection of mirrors added to this faintly striped wall is such a wonderful idea…creates just the right amount of POP! 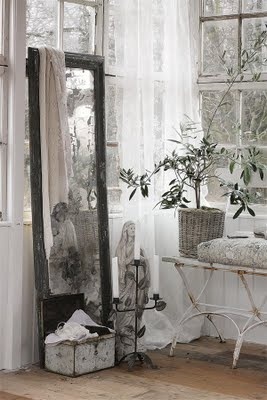 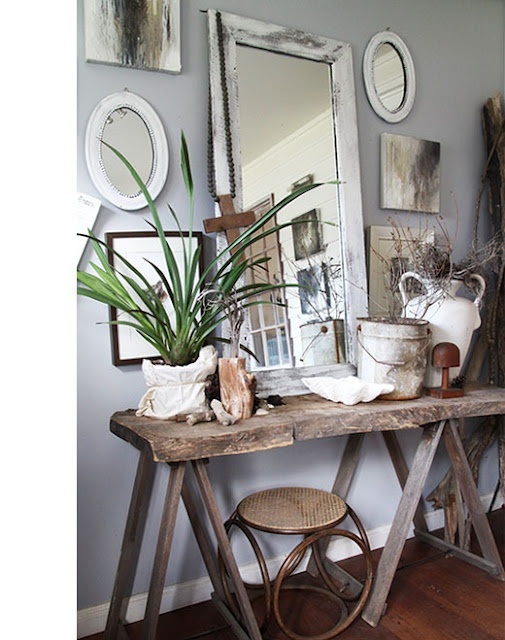 For the Shabby oh So Chic Cottage lovers out there…isn’t this picture perfect. 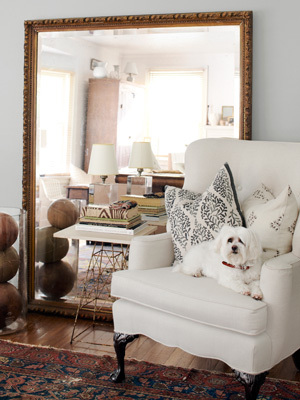 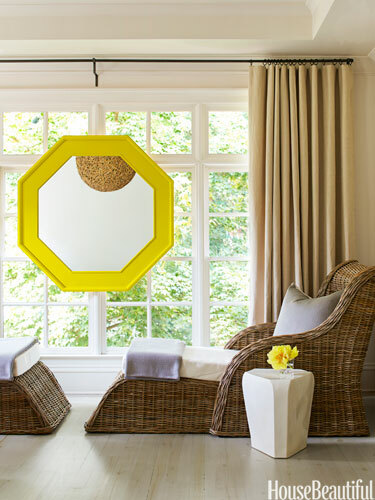 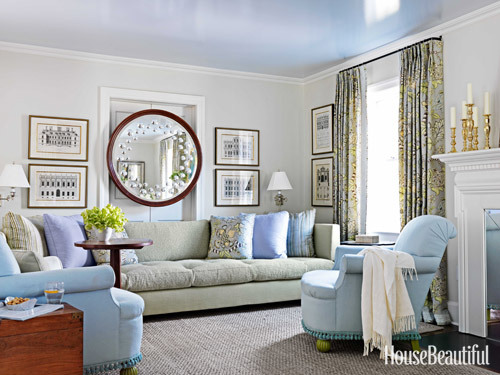 This mirror collection sure does brighten up this whimsical room. 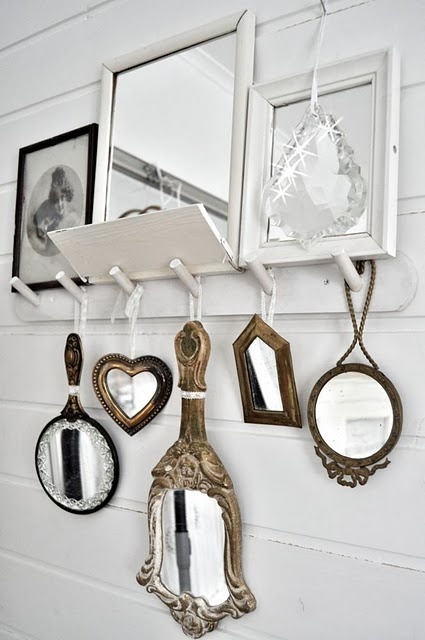 Here’s another collection of hanging hand mirrors and more…I just love this idea. 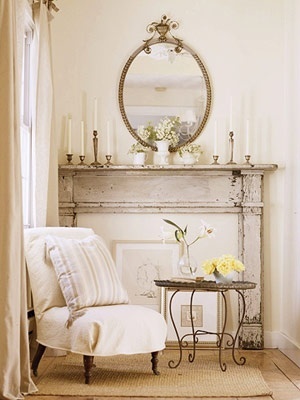 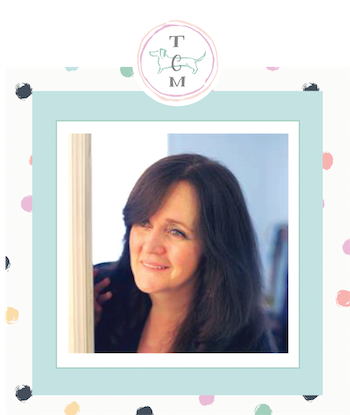 By simply leaning a mirror against a window or wall and draping something pretty on it…you create such ambiance and it is so easy. 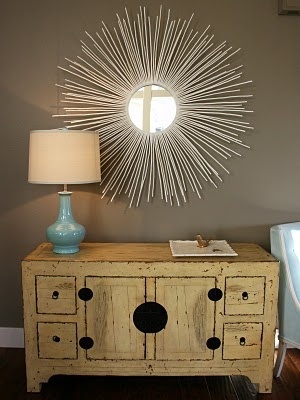 No nails required…doesn’t get easier than this…you can use this technique just about anywhere in your home…I think it would be fabulous in an entry way. 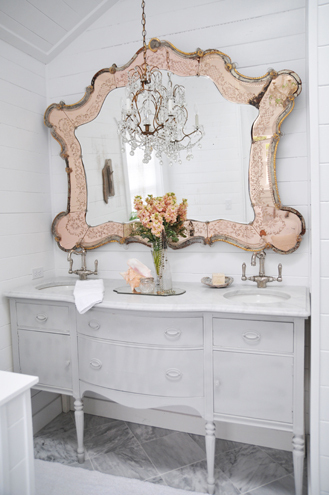 Mirrors can reflect any style! 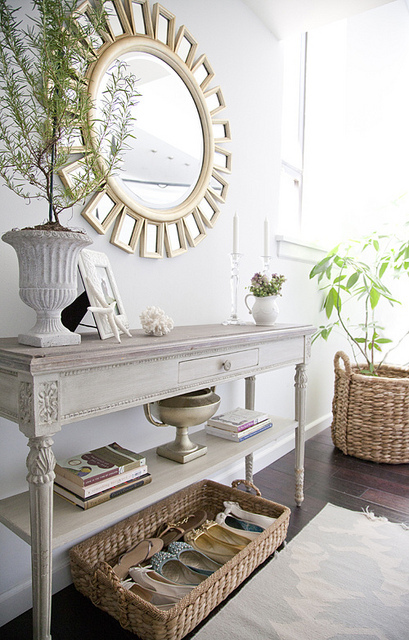 So clever…a mirror becomes the top of this innovative end table…when the sun shines you get the extra bonus of a rainbow on the wall. 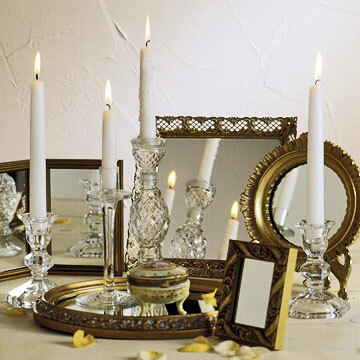 How about a vignette of mirrors…any shape…any size…any style…the sky is the limit! 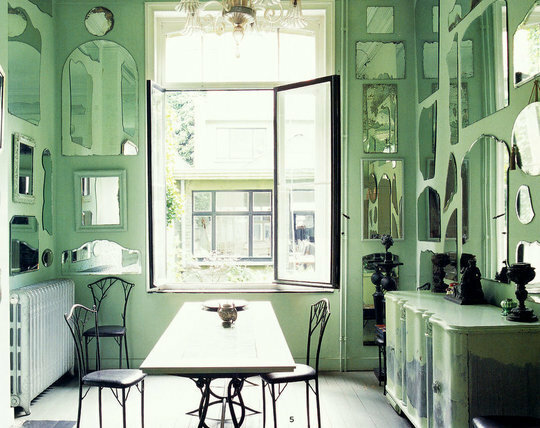 House Beautiful…I LOVE this place! 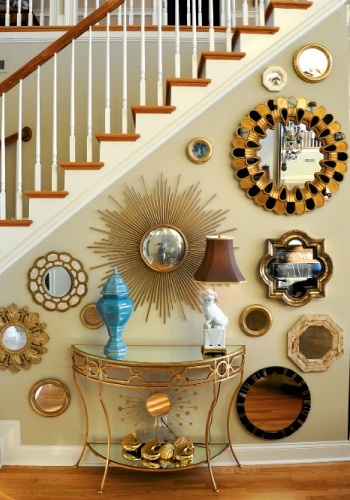 You can create a piece of mirror art…so keep collecting those mirrors when you see them…anything goes. 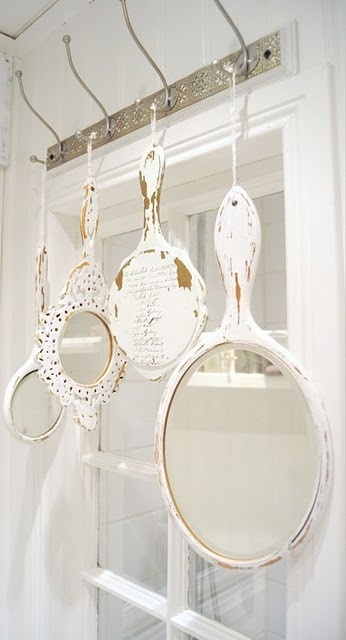 I so love this tightly knit placement design… this collection of mirrors look like they are one. 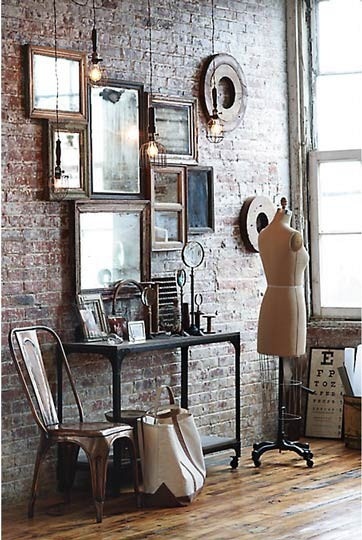 This industrial style is so fresh but has all of the vintage charm. 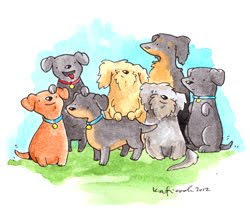 There they are again…hanging around! 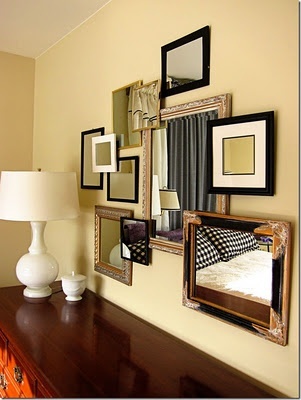 Sometimes the mirror plays tricks with your eyes! 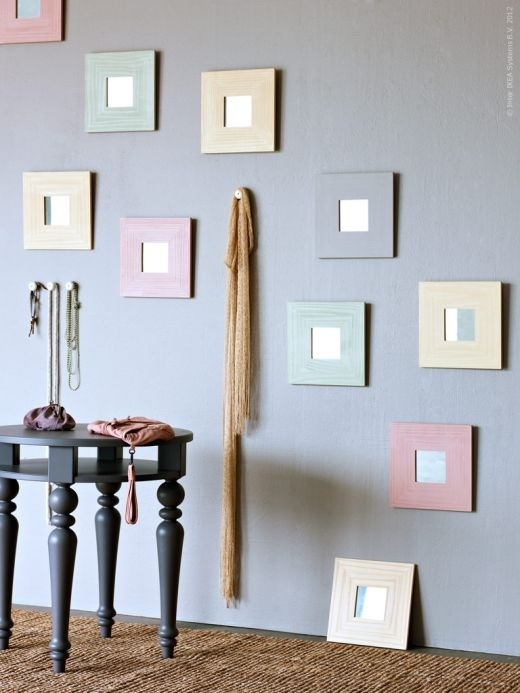 You can create your own form of Modern Wall Art by placing these simple mirrors that you can find at Ikea or Michaels …add some paint an viola! 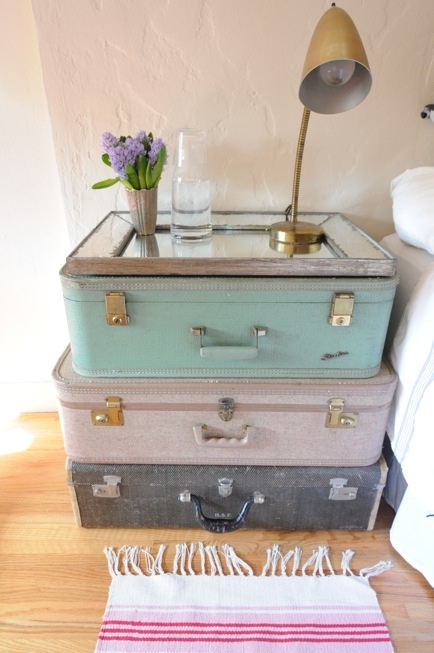 This proves you don’t have to stand up straight all the time! 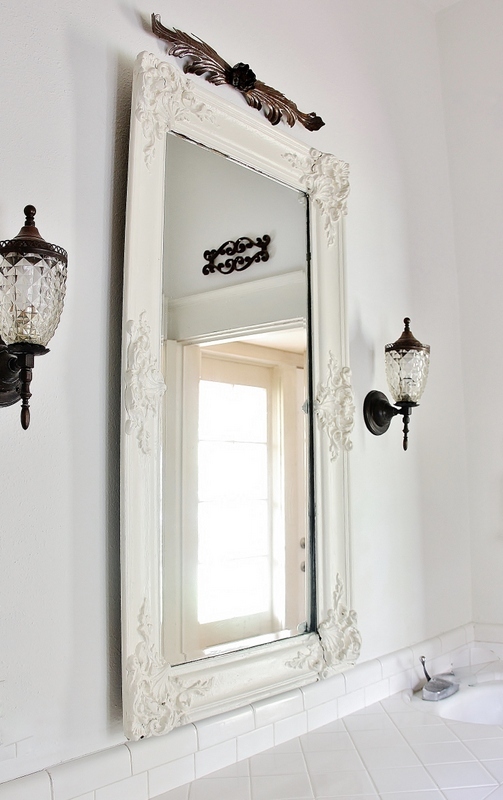 Such a great illusion…looks like 2 mirrors…but it is one large one with an empty frame placed over it…I love a great illusion! 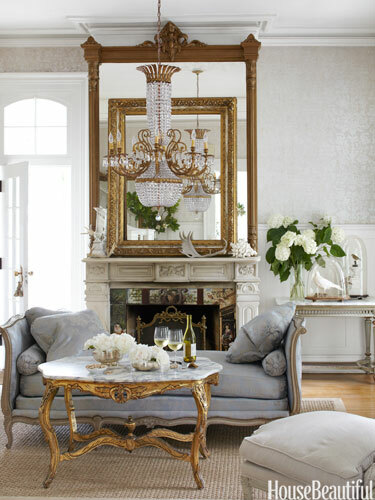 By adding the mirrors to this piece…everything become much more spacious in appearance. 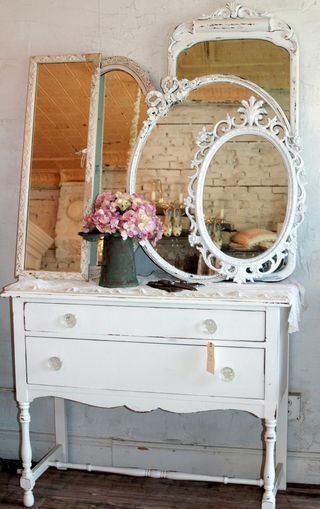 There is a mirror out there for you or MANY! 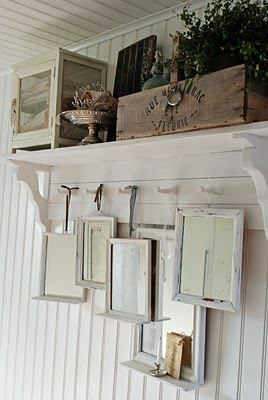 So many ideas…we will have have to explore more soon…we will be checking out a collection of DIY mirrors in the near future…so stay tuned. 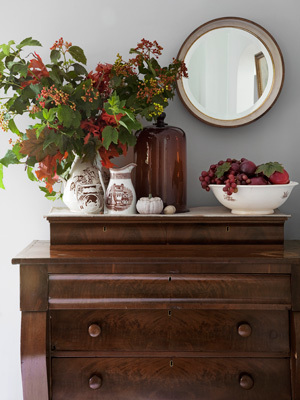 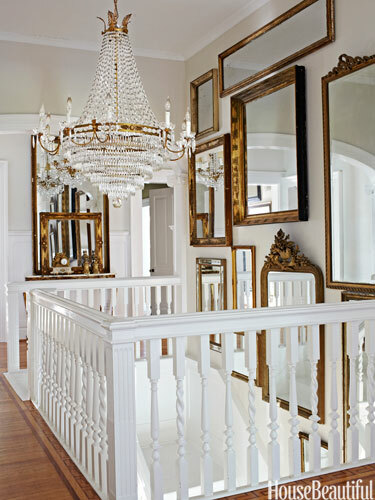 Decorating with mirrors is a “good” thing. 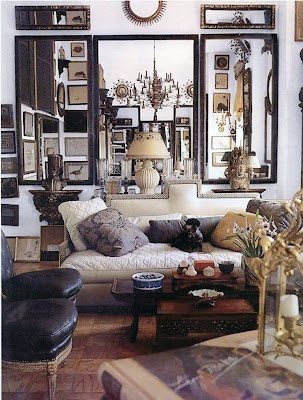 I love the mirrors- My favorite is the one against the window and the wall.